Senior Professor Tom Ball, Judan, began jujitsu in 1957 with Bud Odom and received his shodan in 1958. In 1964 as a yodan, he taught at U.C. Davis, and founded the first martial arts dojo in Davis since WWII. Hundreds of students from around the world studied with him during the years 1964 to 1972. Prof Ball is currently sensei of the Shingi Kan and has recently retired from teaching high school in Fort Jones, California. He and his wife, Jan, have operated Camp Kodenkan North at their ranch since 1973. 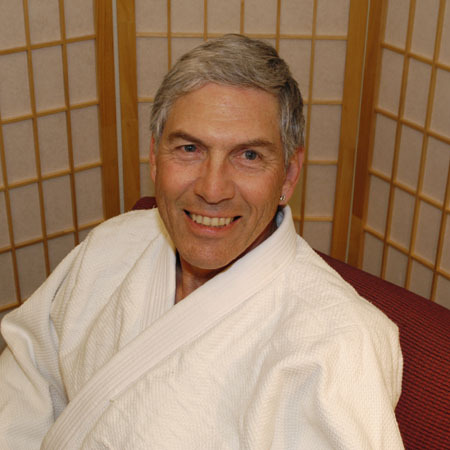 Prof Ball helped establish the AJJF’s Restorative Massage Program, now known as the Danzan Ryu Seifukujitsu Institute, and sits on its Standards Committee. He is the current CEO of the AJJF.